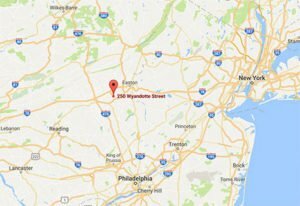 Are you looking for the perfect meeting space in Bethlehem, PA? Rent the Asa Packer Room in Sayre Mansion. Whether you’re a local business looking for a place to host a meeting or an out-of-town organization holding a corporate retreat, we will be able to accommodate you to guarantee a productive assembly. Now that you’ve found the best meeting space in Bethlehem, PA, plan a day of fun for your co-workers! Download our free Vacation Guide to get the best local recommendations for restaurants, historic sites, and museums in the area. You’ll also get a list of our favorite annual events. It’s easy to plan your day in Bethlehem with our Vacation Guide! The Asa Packer Room is the perfect spot to have a small meeting or retreat. 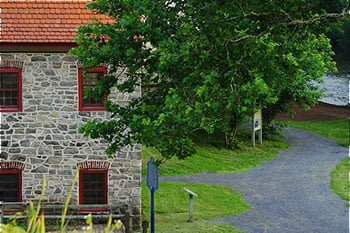 From Sayre’s Mansion’s fantastic central location in Bethlehem to our gorgeous accommodations, you’ll find everything you need here. The room is located in our lower level. It can hold up to 30 people, perfect for small companies or departments. The full-day fee for the room is $275 and the half-day (five hours or less) is $150. If you reserve 10 or more overnight lodging rooms, you can save 50% on the fee. The Corporate Sleeping Room Rates are a great deal. Our standard or deluxe queen rooms are just $125 a night (plus tax). Our king or double queen rooms are $135 a night (plus tax). Our luxurious suites are just $175 a night (plus tax). These are fantastic if you’re planning on overnight retreat or you are meeting with someone in Bethlehem or nearby Allentown or Easton. The reservations include our incredible continental breakfast, wireless internet service, and access to Steel Fitness Center. We are happy to provide breakfast, snacks, lunch, and dinner during your meeting. The continental breakfast consists of fresh fruit, assorted pastries, yogurt and granola, bagels, coffee, tea, and juice. It is just $12 per person. The morning and afternoon breaks are just $5 per person and include coffee and tea service (in the morning), a whole fruit bowl, assorted pastries or chips and cookies, and water. The lunch and dinner service is just $18 per person and is for groups of 15 or less. It includes an assorted sandwich platter, two deli salads, a green salad, a whole fruit bowl, a cookie platter, and assorted sodas and bottled water. 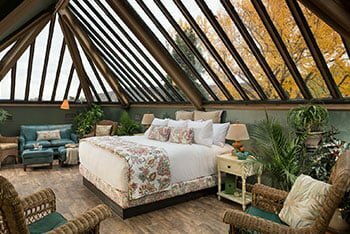 Don’t settle for chain hotels. 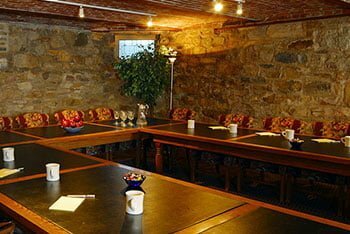 Book the best meeting space in Bethlehem, PA! We are happy to assist in whatever way to make sure that your meeting goes smoothly. With our customizable meeting packages, we can make sure you are getting everything you want for the exact number of people you plan to have. Combine that with our discounted meeting rate that comes with renting rooms in the mansion and you are sure to save a bundle without having to compromise comfort. Request more meeting information on our website and book your space today! We look forward to hosting your next assembly.